If you already prepared everything—you have great products, you’ve already researched your niche and target audiences, have had a solid marketing program, then, it’s the right time for you to take a good marketing plan that will clearly position your brand and products in the marketplace. And to increase the margins and revenue of your products and services, up selling and cross selling is indeed a good step to drive customers to buy them. Cross selling and up selling is the art & science of introducing customers with a better complimentary product wherein they are interested in. Though there is much confusion when it comes to the definition of cross selling and up selling, these two terms are generally different from each other. Cross selling is the term used to describe when you sell a totally different service or products to your existing customers, while upselling on the other hand is when you convince or persuade a customers to buy a expensive version, upgrades, accessories or add-ons to the current sale. Selling a product and promoting a brand to new customers can take a lot of effort, time and money. Increasing the time or social load your customers experiences during the point of sell. They’ll definitely remember it as a hassle to checkout. Think of how you’ll grow in the situation and dread the unseen circumstances. If your selling methods and techniques turn your customers off, they’ll definitely won’t comeback or choose your brand, or worse, they’ll walk away from the sales and damage your reputation to your customers. The products displayed can be rather inexpensive, so they do not trigger price conscious behavior among customers. These are products/items that most customers will likely need or use at some point, so they are not seen frivolous. These products should be placed in an area or space where customers can easily grab or add them to the order. The entire ‘plethora’ of the store inventory should not be crammed in one spot. Just place few products in place so that customers will not be paralyzed by so many choices that they are being confused or overwhelmed of what to buy or what to choose. 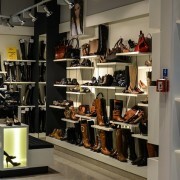 Online businesses can also tap to ‘checkout aisle’ however, one needs to be careful even more than a brick-and-mortar. Offer 2 options. Refrain from offering more and upping the ante when the customers says ‘No’. Always make sure that the options offered are fully related to the service or products that the customer is purchasing. By organizing the products on its proper order, you will eliminate the stress in upselling and cross selling process. The total price of your bundle should be slightly less than buying the services or products separately. Larger items or one big ticket with few smaller or related items can make a good bundle. Smaller items are often viewed as FREE, while big ticket items is the product that your customer is looking for.